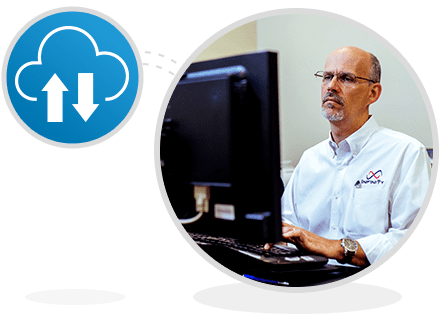 Files are backed up to the Cloud automatically and continuously. Your sensitive business data is backed up offsite for a higher degree of protection. A sound reputation for reliability will help you boost customer loyalty. Give your customers the assurance that their information is in safe hands. 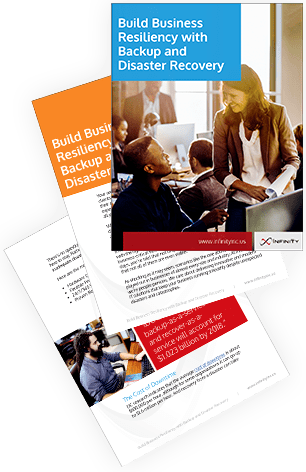 Our whitepaper provides a simple breakdown of why Cloud-based backup and disaster recovery is the modern solution to maintaining business continuity. Read it instantly – no strings attached! As a competitive and thriving business, your responsibility to protect company and client data is essential to ensure business continuity. Preparing for unexpected disasters with a reliable backup and disaster recovery solution is not a question of if, but when. And the friendly team over at Infinity want to introduce a solution to help make the planning process a breeze. Tell us what you’re looking for today.